Melody thought being a young wife was hard—until she became a widow. Luckily her mother-in-law is an expert in the field. As Melody navigates the prickly terrain of pressed black dresses, well-meant advice and inappropriate outbursts, she stumbles toward understanding what it means to find someone through losing them. A bittersweet look at the messy parts of life, this quirky comedy contemplates how grief, devotion and hope can persevere within us all. Meet the cast and director of the West Coast Premiere of Bekah Brunstetter's Be a Good Little Widow, directed by Hal Brooks, May 11 - June 9, 2013 at The Old Globe. (from left) Christine Estabrook as Hope, Ben Graney as Craig and Zoë Winters as Melody in the West Coast Premiere of Bekah Brunstetter's Be a Good Little Widow, directed by Hal Brooks, May 11 - June 9, 2013 at The Old Globe. Photo by Ed Krieger. 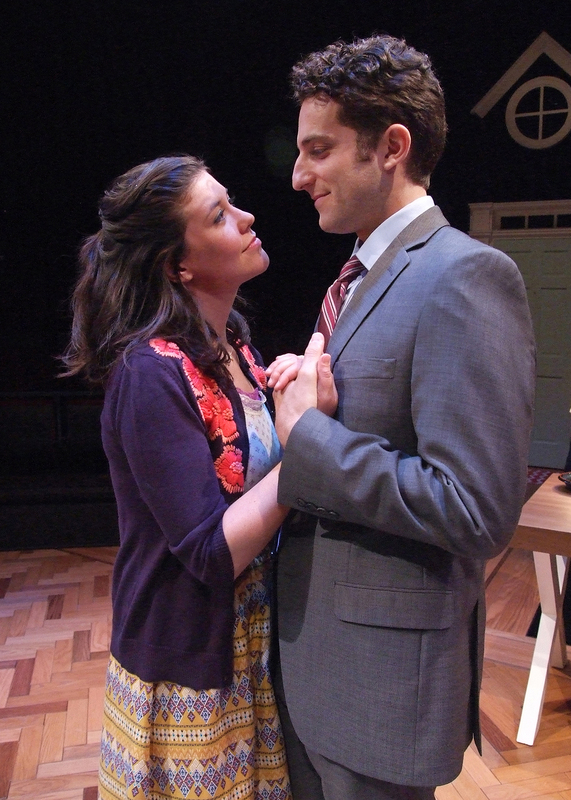 Ben Graney as Craig and Zoë Winters as Melody in the West Coast Premiere of Bekah Brunstetter's Be a Good Little Widow, directed by Hal Brooks, May 11 - June 9, 2013 at The Old Globe. Photo by Ed Krieger. 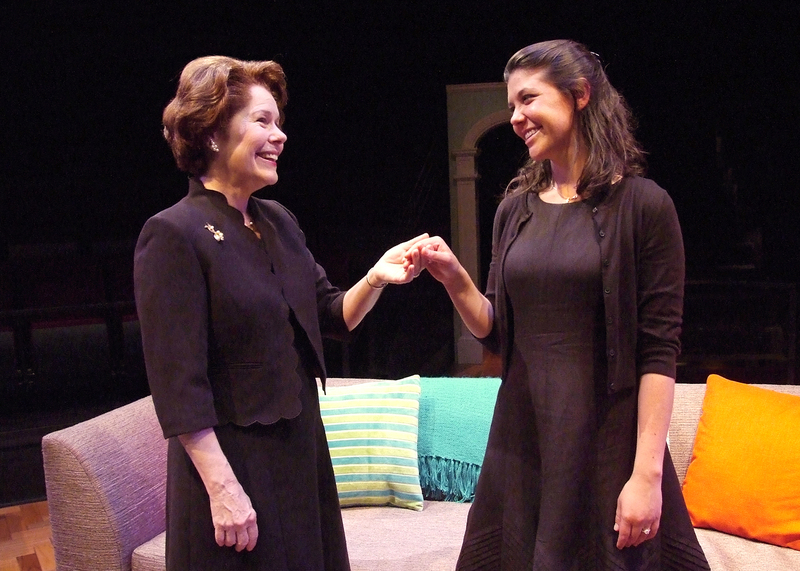 (from left) Christine Estabrook as Hope and Zoë Winters as Melody in the West Coast Premiere of Bekah Brunstetter's Be a Good Little Widow, directed by Hal Brooks, May 11 - June 9, 2013 at The Old Globe. Photo by Ed Krieger. 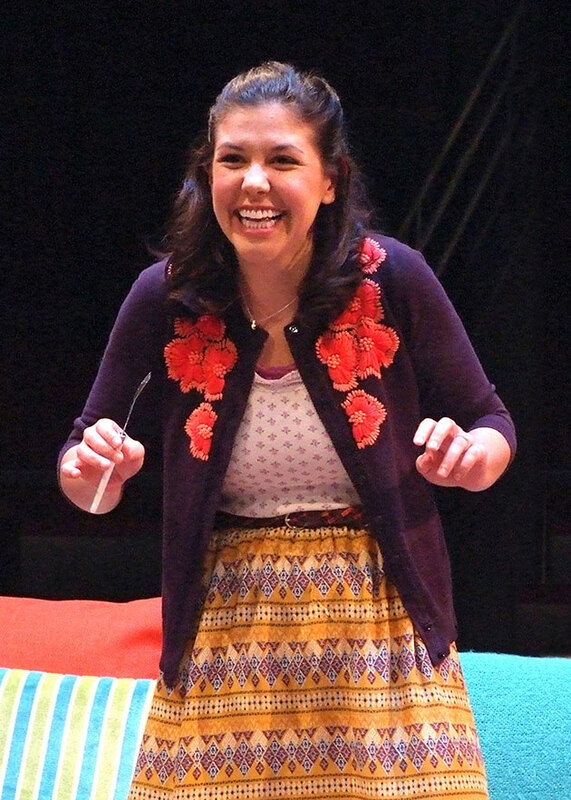 Zoë Winters as Melody in the West Coast Premiere of Bekah Brunstetter's Be a Good Little Widow, directed by Hal Brooks, May 11 - June 9, 2013 at The Old Globe. Photo by Ed Krieger. Christine Estabrook as Hope in the West Coast Premiere of Bekah Brunstetter's Be a Good Little Widow, directed by Hal Brooks, May 11 - June 9, 2013 at The Old Globe. Photo by Ed Krieger. Zoë Winters as Melody and Ben Graney as Craig in the West Coast Premiere of Bekah Brunstetter's Be a Good Little Widow, directed by Hal Brooks, May 11 - June 9, 2013 at The Old Globe. Photo by Ed Krieger. 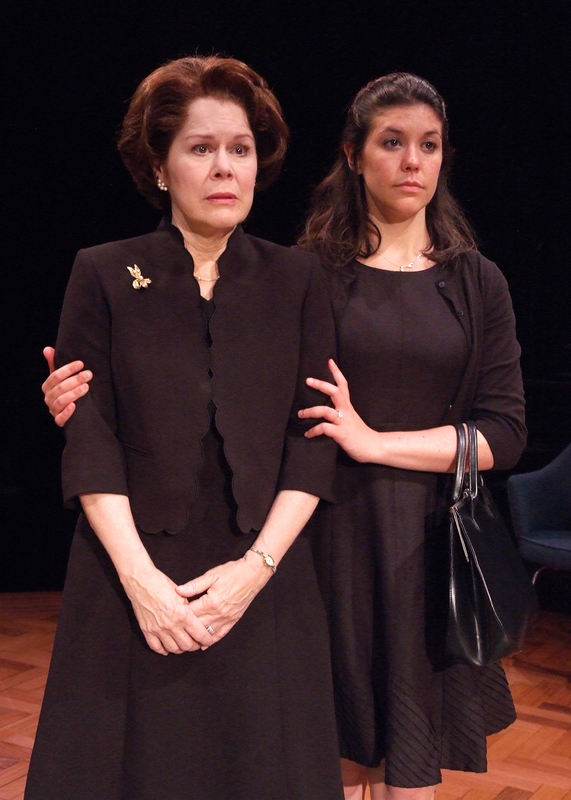 (from left) Zoë Winters as Melody and Christine Estabrook as Hope in the West Coast Premiere of Bekah Brunstetter's Be a Good Little Widow, directed by Hal Brooks, May 11 - June 9, 2013 at The Old Globe. Photo by Ed Krieger. 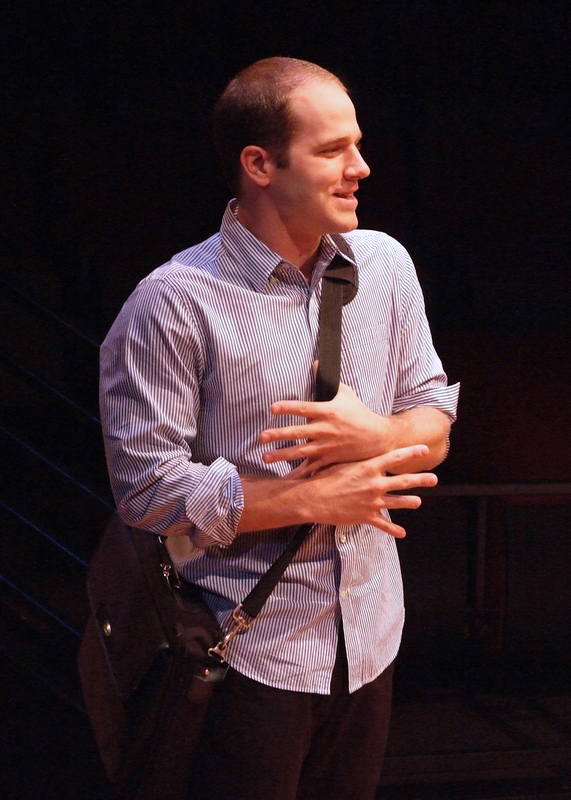 Ben Graney as Craig in the West Coast Premiere of Bekah Brunstetter's Be a Good Little Widow, directed by Hal Brooks, May 11 - June 9, 2013 at The Old Globe. Photo by Ed Krieger. 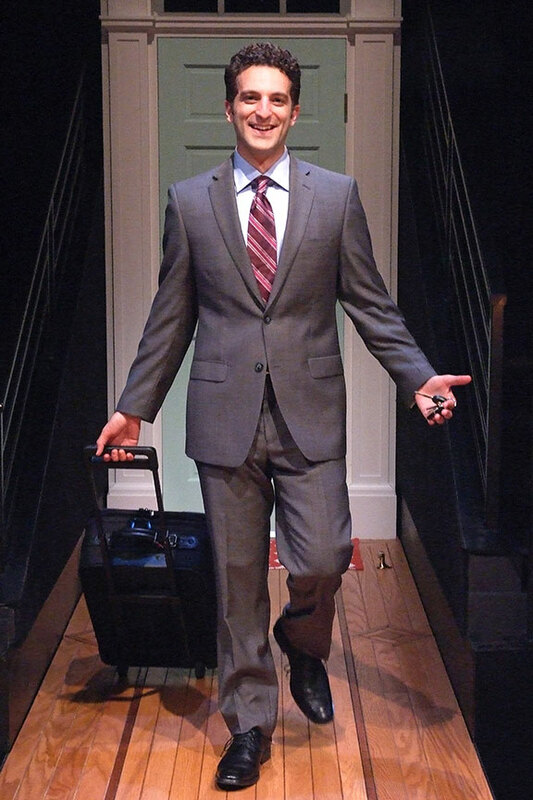 Kelsey Kurz as Brad in the West Coast Premiere of Bekah Brunstetter's Be a Good Little Widow, directed by Hal Brooks, May 11 - June 9, 2013 at The Old Globe. Photo by Ed Krieger. 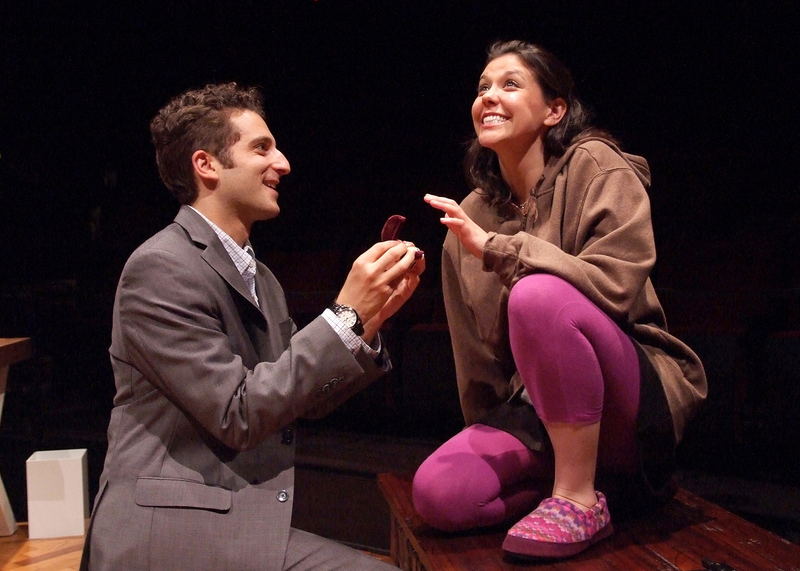 Kelsey Kurz as Brad and Zoë Winters as Melody in the West Coast Premiere of Bekah Brunstetter's Be a Good Little Widow, directed by Hal Brooks, May 11 - June 9, 2013 at The Old Globe. Photo by Ed Krieger. 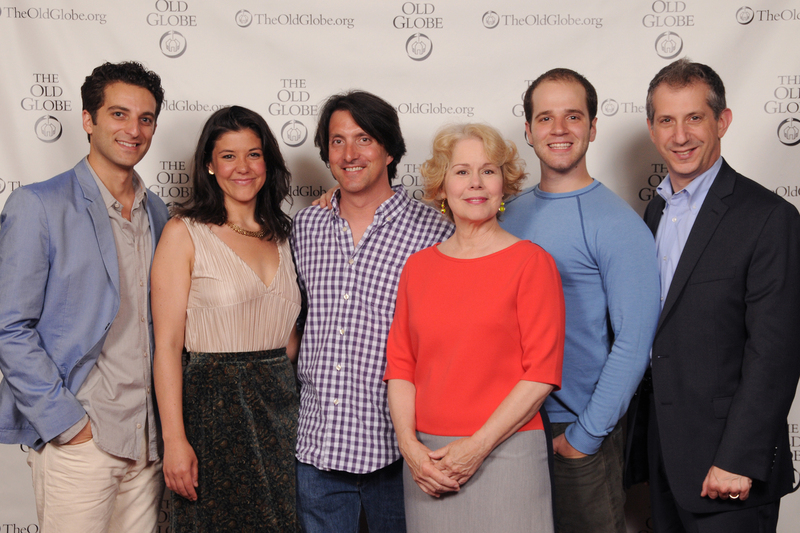 Director Hal Brooks (center) with cast members (from left) Ben Graney, Zoë Winters, Christine Estabrook and Kelsey Kurz at the opening night party for Be a Good Little Widow on May 16, 2013. The West Coast Premiere of Bekah Brunstetter's Be a Good Little Widow, directed by Brooks, runs May 11 - June 9, 2013 at The Old Globe. Photo by Doug Gates. 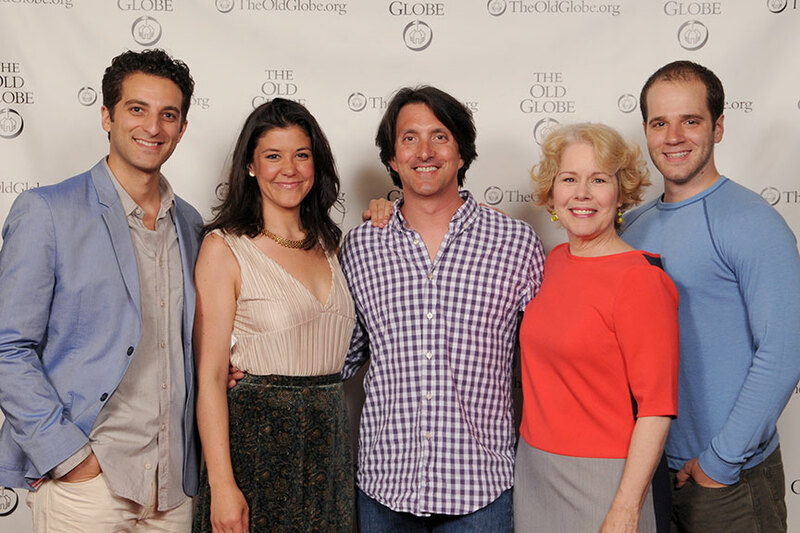 Old Globe Artistic Director Barry Edelstein (far right) with director Hal Brooks (center) and cast members (from left) Ben Graney, Zoë Winters, Christine Estabrook and Kelsey Kurz at the opening night party for Be a Good Little Widow on May 16, 2013. The West Coast Premiere of Bekah Brunstetter's Be a Good Little Widow, directed by Brooks, runs May 11 - June 9, 2013 at The Old Globe. Photo by Doug Gates. 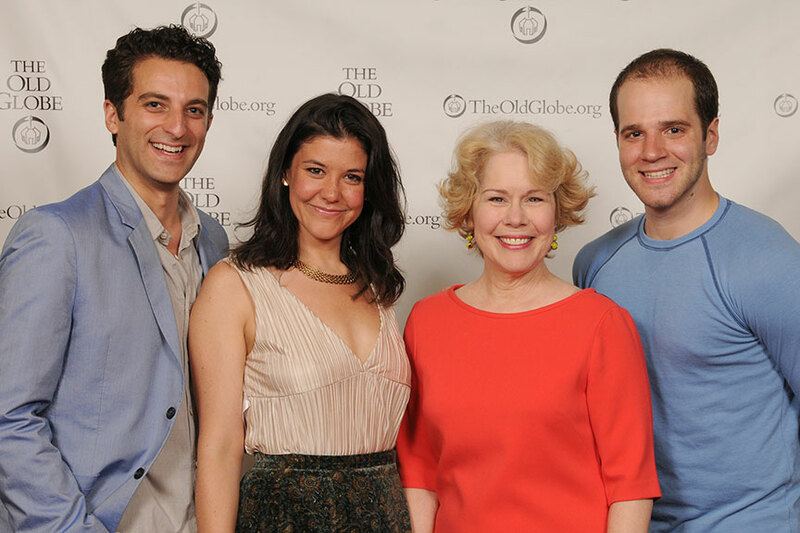 (from left) Cast members Ben Graney, Zoë Winters, Christine Estabrook and Kelsey Kurz at the opening night party for Be a Good Little Widow on May 16, 2013. The West Coast Premiere of Bekah Brunstetter's Be a Good Little Widow, directed by Brooks, runs May 11 - June 9, 2013 at The Old Globe. Photo by Doug Gates. 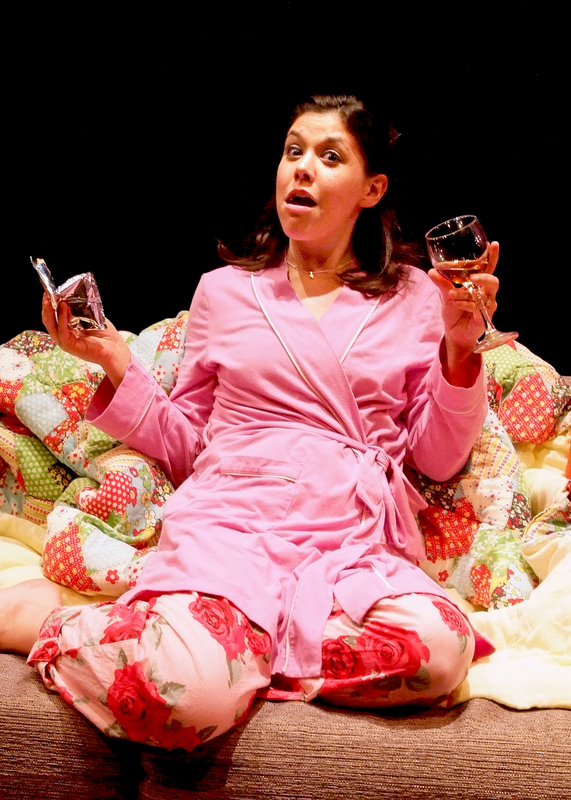 Cast member Zoë Winters at the opening night party for Be a Good Little Widow on May 16, 2013. The West Coast Premiere of Bekah Brunstetter's Be a Good Little Widow, directed by Hal Brooks, runs May 11 - June 9, 2013 at The Old Globe. Photo by Doug Gates. 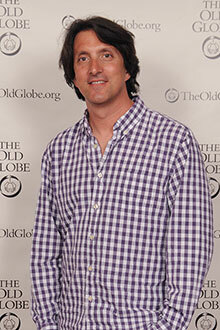 Director Hal Brooks at the opening night party for Be a Good Little Widow on May 16, 2013. The West Coast Premiere of Bekah Brunstetter's Be a Good Little Widow, directed by Brooks, runs May 11 - June 9, 2013 at The Old Globe. Photo by Doug Gates. 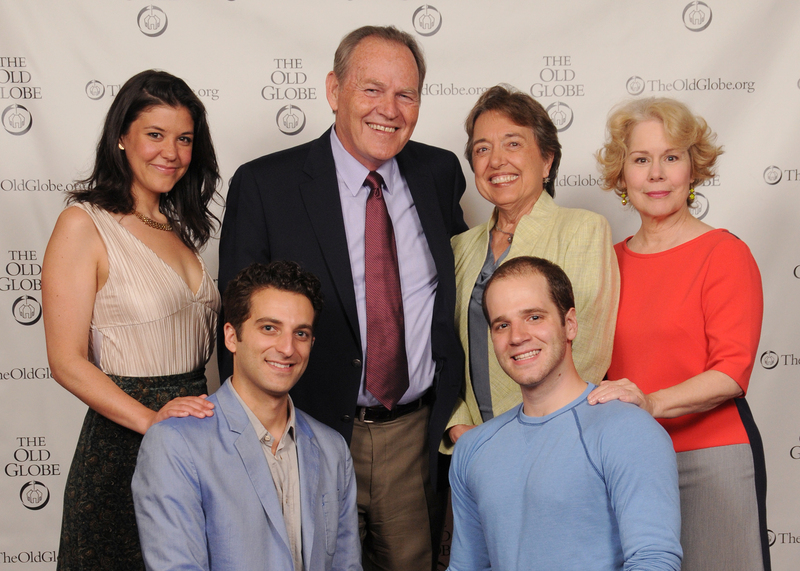 Old Globe Board Chair Harold W. Fuson Jr. and Pam Fuson (center) with cast members (from left) Zoë Winters, Ben Graney, Kelsey Kurz and Christine Estabrook at the opening night party for Be a Good Little Widow on May 16, 2013. The West Coast Premiere of Bekah Brunstetter's Be a Good Little Widow, directed by Brooks, runs May 11 - June 9, 2013 at The Old Globe. Photo by Doug Gates. 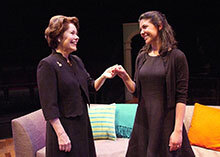 (from left) Christine Estabrook appears as Hope and Zoë Winters as Melody in the West Coast Premiere of Bekah Brunstetter's Be a Good Little Widow, directed by Hal Brooks, May 11 - June 9, 2013 at The Old Globe. Photo by Snaps Studio. 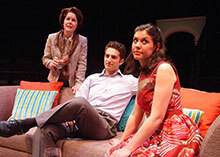 The cast of Be a Good Little Widow: (from left) Kelsey Kurz, Christine Estabrook, Zoë Winters and Ben Graney. The West Coast Premiere of Bekah Brunstetter's Be a Good Little Widow, directed by Hal Brooks, runs May 11 - June 9, 2013 at The Old Globe. Photo by Snaps Studio. Zoë Winters appears as Melody in the West Coast Premiere of Bekah Brunstetter's Be a Good Little Widow, directed by Hal Brooks, May 11 - June 9, 2013 at The Old Globe. Photo by Snaps Studio. 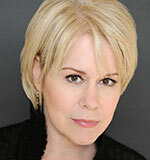 Christine Estabrook appears as Hope in the West Coast Premiere of Bekah Brunstetter's Be a Good Little Widow, directed by Hal Brooks, May 11 - June 9, 2013 at The Old Globe. Photo by Snaps Studio. 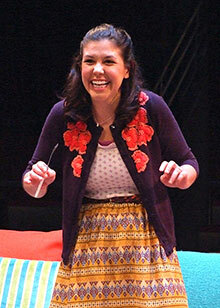 Kelsey Kurz appears as Brad in the West Coast Premiere of Bekah Brunstetter's Be a Good Little Widow, directed by Hal Brooks, May 11 - June 9, 2013 at The Old Globe. Photo by Snaps Studio. Ben Graney appears as Craig in the West Coast Premiere of Bekah Brunstetter's Be a Good Little Widow, directed by Hal Brooks, May 11 - June 9, 2013 at The Old Globe. Photo by Snaps Studio. Director Hal Brooks. Brooks directs the West Coast Premiere of Bekah Brunstetter's Be a Good Little Widow, May 11 - June 9, 2013 at The Old Globe. Photo by Snaps Studio. Director Hal Brooks (center) and the cast of Be a Good Little Widow: (from left) Kelsey Kurz, Christine Estabrook, Zoë Winters and Ben Graney. The West Coast Premiere of Bekah Brunstetter's Be a Good Little Widow, directed by Brooks, runs May 11 - June 9, 2013 at The Old Globe. Photo by Snaps Studio. 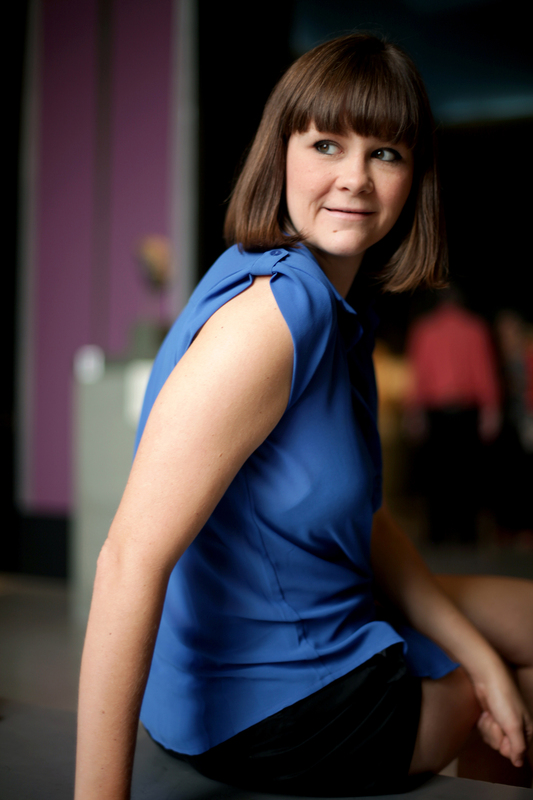 Playwright Bekah Brunstetter. Brunstetter's Be a Good Little Widow, directed by Hal Brooks, runs May 11 - June 9, 2013 at The Old Globe. Photo by Maggie Takyar. Be a Good Little Widow. Illustration courtesy of The Old Globe. 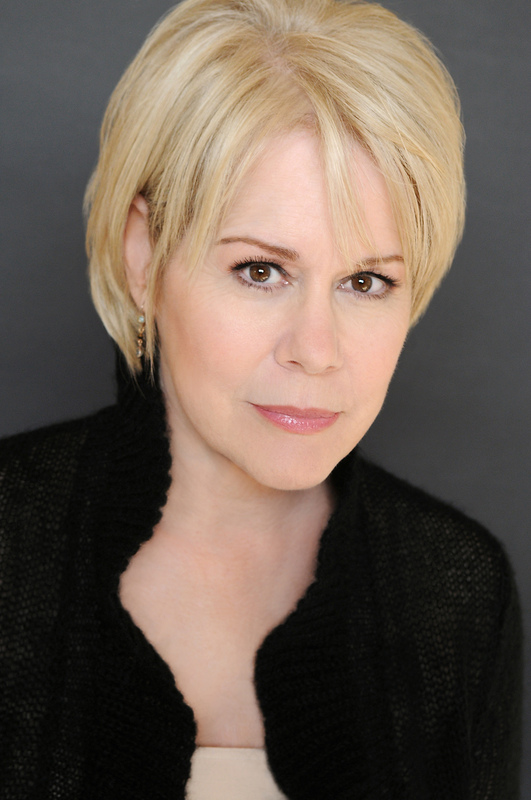 Christine Estabrook (Hope) has performed in hit Broadway shows, television shows and films. 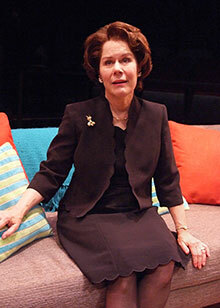 She has won accolades and acting awards for her Off Broadway performances and earned an M.F.A. degree from Yale University School of Drama. She originated roles in the Off Broadway productions of Christopher Durang’s Baby with the Bathwater, Craig Lucas’s Blue Window and Deborah Eisenberg’s Pastorale, for which she won an Obie Award. She also originated roles in and earned Drama Desk Award nominations for North Shore Fish and Win/Lose/Draw. Estabrook was awarded both the Drama Desk and the Clarence Derwent Award for her portrayal of Sheila in The Boys Next Door. In 2011 LA Weekly presented her with their award for best comedic performance in another one of Christopher Durang’s plays, Why Torture Is Wrong, and the People Who Love Them (The Blank Theatre). She performed in two of Wendy Wasserstein’s hit Broadway shows, The Heidi Chronicles and The Sisters Rosensweig, as well as opening and performing for two years in Steven Sater’s Broadway musical Spring Awakening. Her many television credits include “Desperate Housewives,” “American Horror Story,” “Anger Management” and “Mad Men.” Her film appearances include Sea of Love, The Usual Suspects and Spider-Man 2. Ben Graney (Craig) is thrilled to be making his Globe debut. He has appeared on Broadway in War Horse (Lincoln Center Theatre) and Off Broadway in When the Rain Stops Falling directed by David Cromer (Lincoln Center Theatre) and The Netflix Plays (Ars Nova). His other New York theater credits include Paper Dolls directed by Mark Brokaw(Sundance Institute Theatre Lab), The Spring Fling (F*It Club/IRT Theater), Bare Naked Drama (Aporia Theater/Cherry Pit Theatre), Obama Drama (Creative Destruction/The Tank) and An Irish Brew (Studio Tisch). He has appeared regionally in Twelfth Night directed by Rebecca Taichman and the Youth Ink! Festival (McCarter Theatre Center), Postcards from Earth (Guthrie Theater), The Cherry Orchard directed by Ethan McSweeny and Twelfth Night (Chautauqua Theater Company) and the Brand:New Festival of New Plays 2009 and 2010 (Hartford Stage). Graney’s film credits include Canto and Ama at Sea, and his television credits include “Unscripted” and The History Channel. 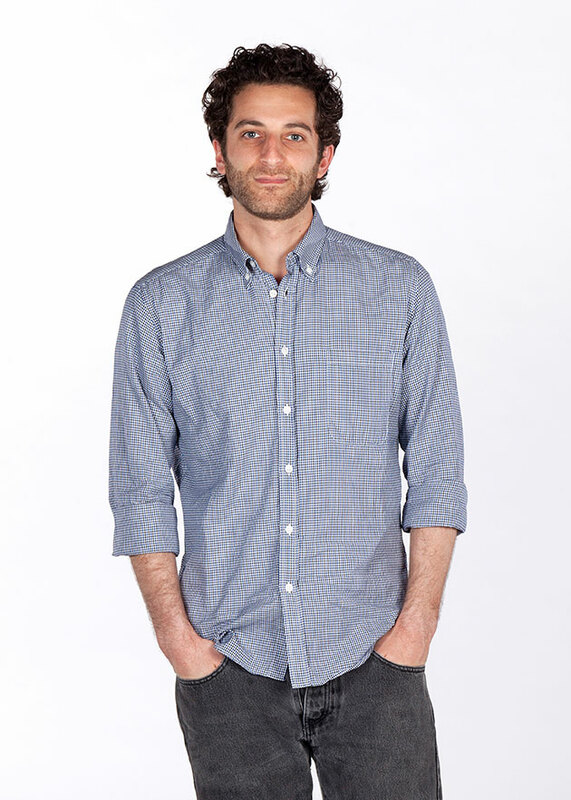 He is the writer of The Baby Gospel (2011 semi-finalist, The Eugene O’Neill Theater Center) and the co-creator, co-writer and actor of The Kosher Cucina (web series). Graney received an M.F.A. from New York University Graduate Acting and a B.A. from California State University, Long Beach. Kelsey Kurz (Brad) has previously been seen at the Globe in Nobody Loves You and Richard O’Brien’s The Rocky Horror Show. He has appeared on Broadway and Off Broadway in The Merchant of Venice (The Public Theater), Davy & Stu (The Ensemble Studio Theatre) and I Coulda Been a Kennedy (2006 New York International Fringe Festival). 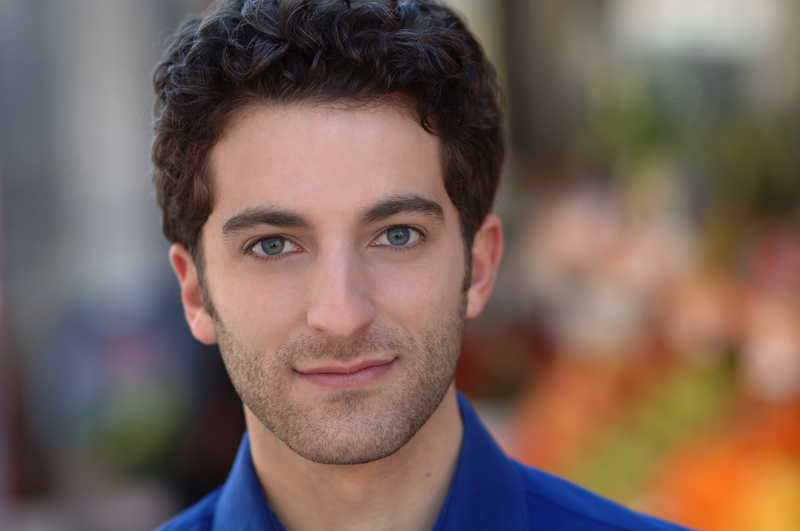 His regional credits include Single Girls Guide (Capital Repertory Theatre), Sons of the Prophet (Huntington Theatre Company) and Seven Brides for Seven Brothers and Cat Ballou (Jackson Hole Playhouse). He has appeared in the films Spartan King (in post-production) and A Time to Speak (in post-production). 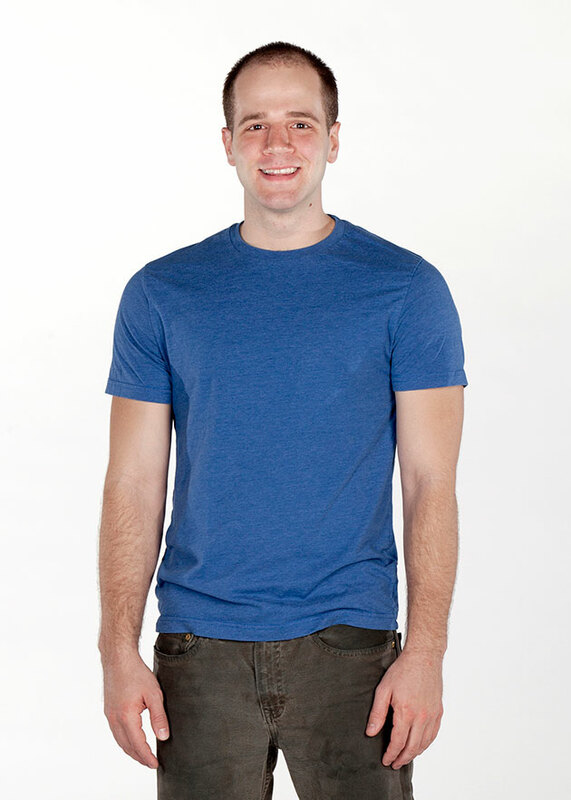 He trained at The Juilliard School. 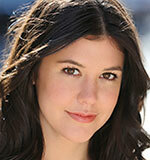 Zoë Winters (Melody) is very excited to be making her Globe debut. 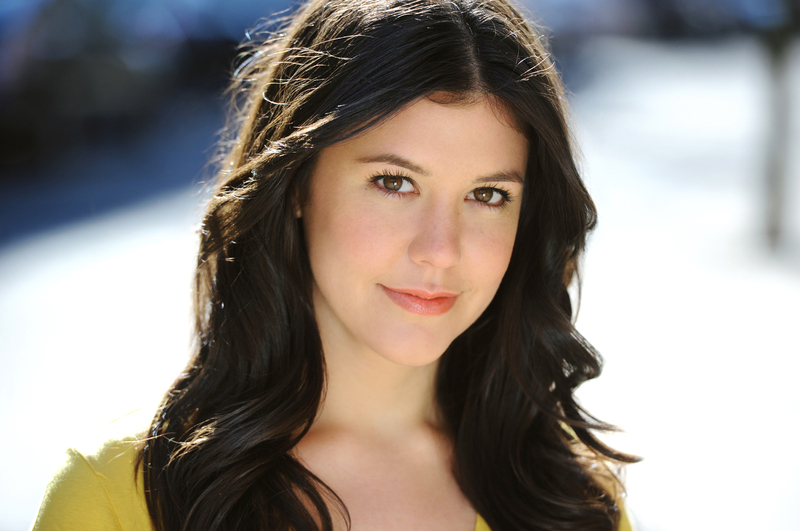 Her Off Broadway credits include 4000 Miles (LCT3 at The Duke, Lincoln Center’s Mitzi E. Newhouse Theater) and Love Song (59E59 Theaters). Her other New York credits include Hater (Ohio Theatre), The Eyes of Others (New Ohio Theatre) and two productions of short stories that she wrote and performed: Swimming Legs (TheaterLab) and Not At The Dinner Table (New Ohio Theatre). Her regional credits include The Imaginary Invalid (Seattle Repertory Theatre, Footlight Award for Outstanding Acting), The Importance of Being Earnest (Paper Mill Playhouse), The Rivals and The Matchmaker (CENTERSTAGE), Mauritius (Magic Theatre, San Francisco Bay Area Theatre Critics Circle Award nomination for Principal Performance, Female), The Diary of Anne Frank (Virginia Stage Company) and Half ‘n Half ‘n Half (Merrimack Repertory Theatre). Her film and television credits include In the Family, Under, “Law & Order,” “Ugly Betty,” “Gossip Girl” and “Army Wives.” Winters received her B.F.A. 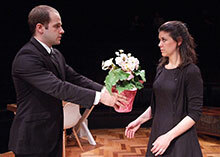 from SUNY Purchase Acting Conservatory. 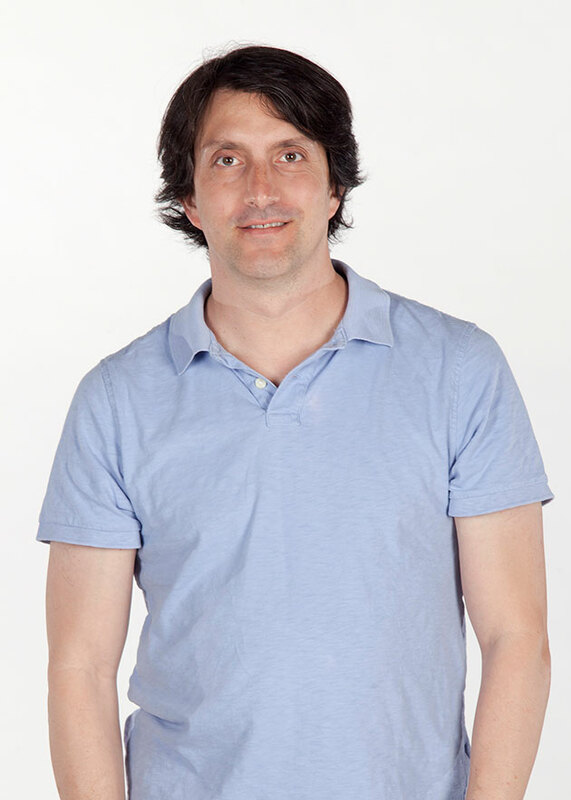 Hal Brooks (Director) directed the National Tour of Nilaja Sun’s Obie Award-winning No Child… and the acclaimed Off Broadway hit and Pulitzer Prize finalist Thom Pain (based on nothing) by Will Eno. 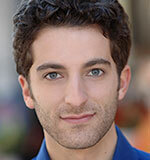 His recent credits include Figaro and The Bald Soprano (The Pearl Theatre Company), Alena Smith’s The Bad Guys (Second Stage Theatre Uptown), Samuel D. Hunter’s The Whale (Denver Center Theatre Company), Kimberly Rosenstock’s Tigers Be Still and Itamar Moses’ Back Back Back (Dallas Theater Center), Mona Mansour’s Urge for Going (The Public Theater), creative consultant on Colin Quinn: Long Story Short directed by Jerry Seinfeld, Sharr White’s Six Years (Humana Festival) and Steve Martin’s Picasso at the Lapin Agile (Two River Theater Company). He is Artistic Director of the Cape Cod Theatre Project and the Associate Artistic Director of the Ojai Playwrights Conference. He was Artistic Director of the Rude Mechanicals of New York where he directed the Off Broadway premieres of Don DeLillo’s Valparaiso and Will Eno’s The Flu Season. Brooks is a proud member of the Lincoln Center Theater Directors Lab and the Stage Directors and Choreographers Society. He was a Drama League Fall Directing Fellow in 2003 and is a recipient of the 2007-2009 NEA/TCG Career Development Program for Directors. He is a lecturer at Yale University. Jason Simms (Scenic Design) has designed the Off Broadway productions of Urge for Going (The Public Theater), The Bad Guys (Second Stage Theatre Uptown), Play Nice! and Ghost Light (59E59 Theaters) and Headstrong and Finks (The Ensemble Studio Theatre). His regional credits include The Whale (Denver Center Theatre Company), A Thousand Clowns (Two River Theater Company), Dutch Masters and The Puppetmaster of Lodz (Berkshire Theatre Group), Sweeney Todd (The Yale Dramatic Association), A Bright Swarm of Beetles, Fefu and Her Friends and The Crucible (Ursinus College), Rent (Bristol Riverside Theatre) and Talley’s Folly (Hudson Stage Company). His Off Off Broadway credits include A Bright New Boise and After (Partial Comfort Productions), Dot and Vendetta Chrome (Clubbed Thumb), American Treasure and Melancholy Play (13P) and MilkMilkLemonade (Astoria Performing Arts Center, The Management Theater Company). Simms’ upcoming projects include Venus in Fur (Philadelphia Theatre Company), Clybourne Park (Chautauqua Theater Compnay) and The Loudest Man on Earth (TheatreWorks Silicon Valley). Simms received an M.F.A. from New York University’s Tisch School of the Arts and a B.F.A. from Cornish College of the Arts. 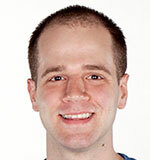 He also received the 2012 USITT Rising Star Award, sponsored by Live Design/LDI. David Israel Reynoso (Costume Design) is the Obie Award-winning costume designer of Sleep No More (Punchdrunk/Emursive). 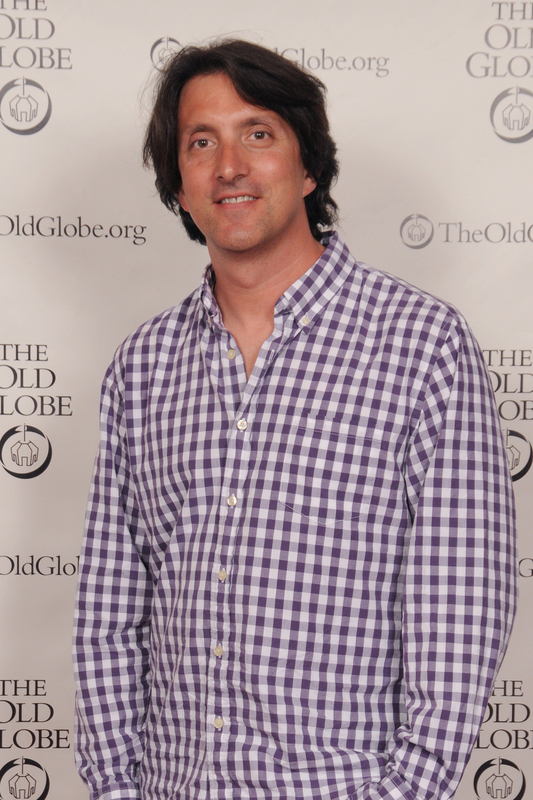 His scenic and costume design credits include Chasing the Song (La Jolla Playhouse), Futurity, Cabaret, The Snow Queen, Alice vs. Wonderland, Trojan Barbie, Copenhagen, No Man’s Land, Hamletmachine, Ajax in Iraq and Abigail’s Party (American Repertory Theater), The Comedy of Errors and Othello (Commonwealth Shakespeare Company), The Woman in Black (Gloucester Stage Company) and Dead Man’s Cell Phone (The Lyric Stage Company). His other work includes Amanda Palmer’s “Down Under” tour, Juan Son’s “Mermaid Sashimi” tour and Gallow Green atThe McKittrick Hotel. Seth Reiser (Lighting Design) designs for theater and dance across the country. His recent work includes Sleep Rock Thy Brain (Actors Theatre of Louisville), Come and Back Again (David Dorfman Dance), King Lear and Tigers Be Still (Dallas Theater Center), An Iliad (PlayMakers Repertory Company), The Agony and the Ecstasy of Steve Jobs (The Public Theater), The Bad Guys (Second Stage Theatre), The Whale (Denver Center Theatre Company), Radio Play (PS122), the Obie Award-winning The Lily’s Revenge (HERE Arts Center), Transition, by Tommy Smith and Reggie Watts, and Middlemen (The Human Animals Collective). Reiser has also designed for Woolly Mammoth Theatre Company, Berkeley Repertory Theatre, Juilliard Opera, Seattle Repertory Theatre, On the Boards and The Eugene O’Neill Theater Center, among others. Reiser received his M.F.A. 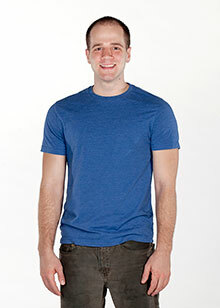 from New York University and lives in Brooklyn with his wife, Mary, and daughter, Marion. Ryan Rumery (Sound Design) is a musician and composer living in Brooklyn, New York. Most of his work has been heard in theaters across the United States, which includes the Broadway production of Thurgood starring Laurence Fishburne. His recent Off Broadway works include All in the Timing (Primary Stages), What Rhymes with America (Atlantic Theater Company), The Submission (MCC Theater), 4000 Miles (Lincoln Center Theater/LCT3), Ivanov, Cherry Orchard, Three Sisters, Orlando and Uncle Vanya (Classic Stage Company), The Emperor Jones (Irish Repertory Theatre, Lucille Lortel Award nomination) and We Live Here (Manhattan Theatre Club). 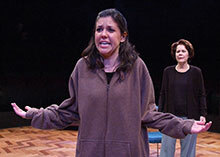 Regionally Rumery has worked on over 175 shows. His film credits include SyncroNYCity. He is also playing drumset in the Colorado band The Joy of Harm, which is finishing an EP produced by Craig Schumacher, and the New York City-based Palissimo’s The Painted Bird. Caparelliotis Casting (Casting) recently cast the Globe productions of Other Desert Cities, A Doll’s House, The Brothers Size, Pygmalion and Good People. Their Broadway casting credits include Lyle Kessler’s Orphans, The Trip to Bountiful, Grace, Dead Accounts, The Other Place, Seminar, The Columnist, Stick Fly, Good People, Bengal Tiger at the Baghdad Zoo, The House of Blue Leaves, Fences, Lend Me a Tenor and The Royal Family. They also cast for Manhattan Theatre Club, Second Stage Theatre, Atlantic Theater Company, LCT3, Ars Nova, Goodman Theatre, Arena Stage, Ford’s Theatre and three seasons with Williamstown Theatre Festival. Their recent television credits include HairBrained with Brendan Fraser and Steel Magnolias (Sony for Lifetime). Anjee Nero (Stage Manager) has previously worked on the Old Globe productions of Allegiance – A New American Musical, A Room with a View, Richard O’Brien’s The Rocky Horror Show, The Savannah Disputation, Cornelia, Kingdom and the 2007 Shakespeare Festival. Her selected La Jolla Playhouse credits include the Chasing the Song workshop with the writers of Memphis, Blood and Gifts, Ruined directed by Liesl Tommy, A Midsummer Night’s Dream directed by Christopher Ashley, Herringbone starring BD Wong and The Seven. 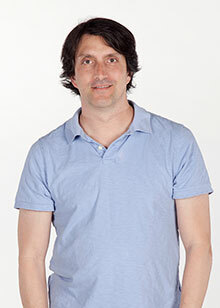 Nero has worked with several prominent regional theaters including Center Theater Group, SITI Company, Huntington Theatre Company, Berkeley Repertory Theatre and more. Her other selected credits include Schick Machine (Paul Dresher Ensemble), which has toured nationally and internationally for the past five years, multiple corporate events with MSI Production Services, Inc., Dream Report (Allyson Green Dance featuring Lux Borreal) and Garden of Forbidden Loves and Garden of Deadly Sound with San Diego-based dance company IMAGOmoves, which toured to the International Hungarian Theatre Festival in Cluj, Romania. Nero recently stage managed the 2013 La Jolla Playhouse Gala featuring The Flaming Lips and will return there this summer to work with Des McAnuff on the world premiere of Sideways.